The Olfa 300 Standard Knife is larger than other standard duty cutters, giving you more leverage for tougher cutting projects. The knife’s features include a stainless steel blade channel, an ABS high-impact plastic handle, and a ratchet wheel blade-locking mechanism. 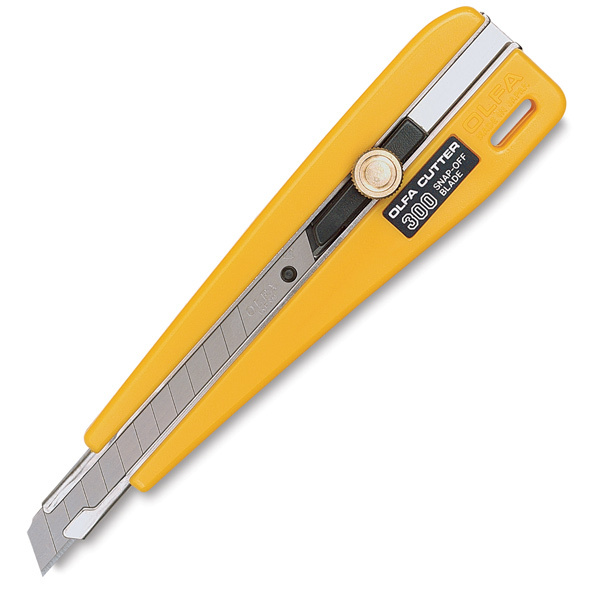 This knige can be used to cut wallpaper, paper, cardboard, and more. Comes with one AB blade.